Motordrome Speedway…The NASCAR K&N Pro Series East (NKNPSE) heads to Motordrome Speedway this weekend for the 11th race of the 2015 season, the UPMC Health Plan 150. HScott Motorsports with Justin Marks looks to return to victory lane in the first-ever NKNPSE event at Motordrome Speedway. Scott Heckert is coming off a weekend that saw him return to victory lane at Watkins Glen International, scoring the team’s seventh win of the season. No. 34 Scott Heckert…Heckert comes into Motordrome Speedway this weekend looking to use the momentum gained from picking up his second win of 2015 at Watkins Glen last weekend. The 21-year-old has brought home three-straight top-five finishes in the No. 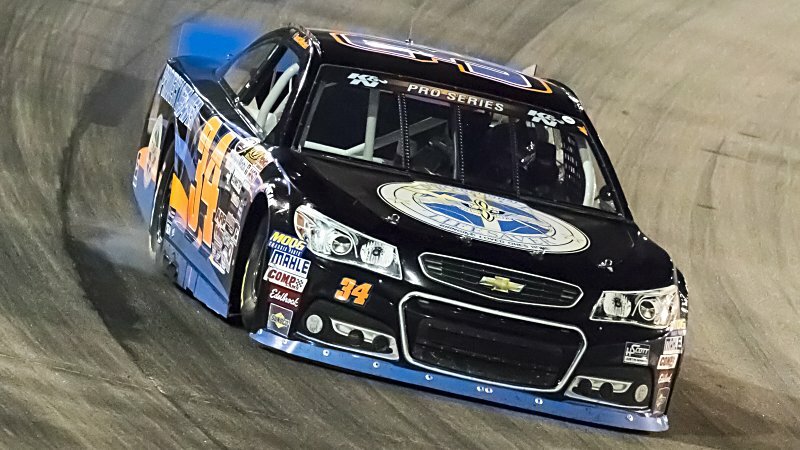 34 Project Lifesaver Chevy and looks for more of the same this weekend. Heckert enters the UPMC Health Plan 150 this weekend sitting second in the NKNPSE Driver Point Standings. The UPMC Health Plan 150 gets underway on Saturday, August 15 at 9:00 p.m. EDT. The race can be seen on NBCSN on Thursday, August 20 at 2:30 p.m. EDT.